Maggie Rogers’ debut album, "Heard It In A Past Life," was released on Jan. 18. “Everything has changed” is the evident subtext of “Heard It In A Past Life,” which references a transformative, life-altering shift in its own title. Perhaps this uncertainty explains why Rogers favors the conditional and the subjunctive — both tenses allow her to slip easily from one reality to the next. Indeed, a certain unreality accompanies the dramatic life shift that characterized Rogers’ overnight ascent to pop star status, ever since the fated day Pharrell Williams listened to a demo of Rogers’ song “Alaska” two years ago in a masterclass at NYU, when Rogers was a senior in college. Halfway through the first verse, Williams’ face morphed from impassive to stunned. By the first chorus, he was visibly moved to tears. “I have zero, zero notes for that,” he told her after the song ended. “I’ll tell you why. You’re doing your own thing. It’s singular.” The video of the masterclass, with over 3.2 million views to date, went viral, catapulting Rogers to the status of Internet sensation. The rest is history, told in the usual banalities of fame: A meteoric rise to stardom, a record deal with a major label, the use of the phrase “the rest is history” in articles just like this one. For most aspiring musicians, that trajectory of instant prestige is the career equivalent of a golden ticket. But being thrust unexpectedly in the public eye is no fairy tale — there is no opt-out of Internet stardom, which comes with its own unforeseen traumas. If this story had happened to anyone less pragmatic or less patient, her celebrity might have dissipated after a few months; others like her, presented with the opportunity to sustain a livelihood out of one viral moment, have been known to succumb to burnout or fade into the ether. But “Heard It In A Past Life” is a testament to Rogers’ patient commitment to authenticity, both artistic and personal. Three years later, this confessional album is the long-awaited product of Rogers’ diligence and unyielding commitment to her aesthetic mission. And it is luminously, ridiculously, singularly good. So what, exactly, is Rogers’ “it” factor? For one, her technical songwriting and mixing background translates into excellent production value, breaking boundaries as she experiments with unconventional combinations of eclectic genres. She blends folky, sound effect-heavy percussion (she’s known to integrate unconventional sound clips, like samples of finger snaps and mourning doves) and electro-synth chords that wouldn’t sound out of place at a dance club (inspired by a study abroad in Europe). On top of all this, Rogers transitions elegantly between an emotive middle register and an ethereal falsetto, each note resonating with a soulful vibretto. On top of sonic mastery, “Heard It In A Past Life” also espouses a particular commitment to authenticity — a tricky term applied to records like this one, with so many industry veterans credited as producers alongside the singer herself. One frets this stacked production team might have borne a case of too many cooks in the kitchen, yet each track resonates with an authorial candor that feels uniquely her own, recapitulated from the bygone archives of her Bandcamp juvenilia. Rogers believes in, to quote one of her own manifestos, “the power of vulnerability.” The phrase seems, at first, oxymoronic — susceptibility as strength feels like a paradoxical equation — but like any adept songwriter, Rogers knows that emotional honesty is the currency of good art. Over the course of 12 tracks, some more confessional than others, she cleverly weaponizes vulnerability into frankness that disarms and empowers. Rogers is a skilled conduit for emotion, translating sentiments into concise verse. Her lyrics reward close reading, without sacrificing melody or mangling prosody, as syntactically complex verses often do. Rogers pairs lyrics with mimetic, symbolic chord progressions. In “Alaska,” chorus oohs imitate shallow intakes of breath, while Rogers narrates, “inhaling” and “exhaling” in alternate lines. Verses in a minor key give way to major key choruses in “The Knife” with the suddenness of realization. “Overnight,” which thematizes rapid life change, features a repeated incantation. “I’m all right,” Rogers promises, more to herself than anyone else. “I’m still here.” The same repetition characterizes the anxiety and keenness of a new crush. “I couldn’t say it to myself / I couldn’t say it to myself,” she reiterates in “Say It.” Simple anecdotes, like a series of panic attacks in “Back In My Body” or the catharsis of nature in “Alaska,” connote weighty feelings that transcend the strictures of their telling. Elsewhere, Rogers works as innovatively with more cerebral lyricism as she does simplicity (perhaps proof of an English degree made manifest). “The Knife” opens with the terse description of spontaneous awareness: “The knife of insight tore its way in me / A brash collision without sympathy.” As a songwriter, she dexterously handles double entendres. In one song, falling water works as a dual symbol, both helpless to gravity (“I’m like falling water, set me free”) while also an unstoppable force (“falling water, coming down on me”). All of this is to say, Rogers is an incredibly talented musician, with instinctual storytelling facility to boot. The album exemplifies her ability as much as it also reveals a story pulsing beneath the ebullient folk-tronic percussion and layered metaphors. That story hints at a much fuller picture, one of a young artist struggling from darkness into the light. Perhaps that’s why the “viral Internet success” Cinderella story has always felt too tidy as a narrative. One can’t help but wonder whether the album is addressed from Rogers to herself — both as a battle cry and as a battle won, after an uncomfortable moment under scrutiny in the spotlight. “Come out of the darkness,” she coaxes in “Retrograde,” quoting “Bella Donna,” which Stevie Nicks wrote as a solo stint after exhausting years of heartbreak and band infighting, about a woman who “is so tired, so the woman disappears.” Rogers, returning from a similar disappearance, seems to harbor the same resignation at times. 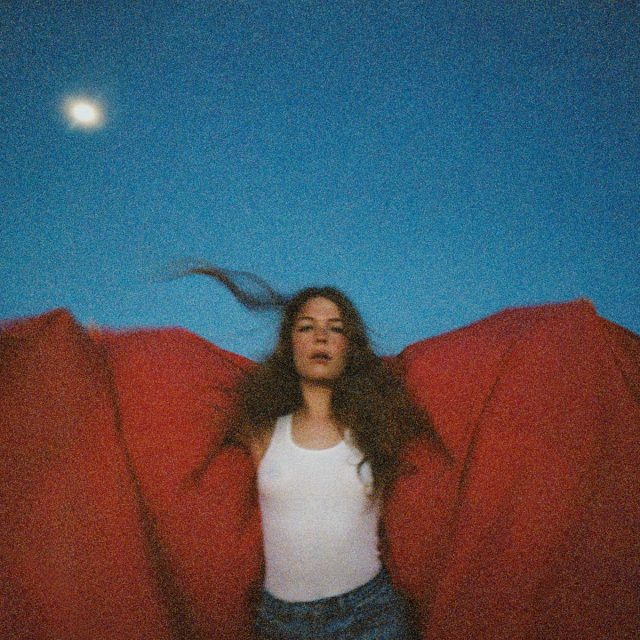 “I am finding out / There’s just no other way / that I’m still dancing at the end of the day,” she sings in “Light On.” Chances are, though, Maggie Rogers will be dancing for much longer than she thinks.